Infrastructure development in Africa and Asia is expanding at breakneck speed, especially in biodiversity-rich developing nations. This trend reflects governments’ efforts to promote economic growth in response to increasing populations, rising consumption rates and persistent inequalities. Large-scale infrastructure development is regularly touted as a way to meet the growing demand for energy, transport and food—and as a key to poverty alleviation. In practice, however, road networks, hydropower dams and “development corridors” tend to adversely affect local populations, natural habitats and biodiversity. Such projects typically weaken the capacity of ecosystems to maintain the ecological functions on which wildlife and human communities depend. These effects are compounded by the challenges that developing nations face as a result of climate change. Intended for a broad range of policymakers, investors, industry experts, decision makers, academics, researchers and NGOs, this publication aims to influence debate, practice and policy, seeking to reconcile ape conservation and welfare with economic and social development, through objective and rigorous analysis. This volume of State of the Apes examines the evolving interaction between infrastructure development and the conservation of apes and their habitats. It also explores the drivers behind infrastructure expansion and ways to minimize and mitigate its impact on biodiversity. State of the Apes’ preliminary pages include an overview of the contents, a foreword from Ford Foundation President Darren Walker on striking a balance between empowering people through economic development and protecting wildlife and the environment, and acknowledgment of the people who made the publication possible. The Apes Overview provides a brief description of each great ape and gibbon species, as well as a detailed explanation of their socioecology; a table of their common and scientific names and the countries in which they are found; and distribution maps for all apes in Africa and Asia. The introduction includes a detailed overview of infrastructure development and ape conservation, and a brief description of each chapter. This section also provides a working definition of infrastructure and explores the roles of incentives, capacity, institutions, corruption and finance in shaping infrastructure development. Ape-range states in equatorial Africa and Southeast Asia are under acute pressure, with many new roads and other infrastructure projects threatening remaining intact or pristine habitats. Roads expose forests to a range of human activities—such as poaching, logging, fire-setting, illegal mining, deforestation and habitat fragmentation—that pose major threats to ape populations and species. Chapter 2 explores the ecological and behavioral impacts of infrastructure on apes in the forest, as well as the social impacts on forest peoples and communities dependent on forest resources. The chapter then offers some lessons learned and steps that can be taken to minimize the deleterious effects of infrastructure development. This chapter presents original case studies on the role of roads in the deforestation of ape habitat. It draws on the authors’ extensive experience in monitoring forest cover loss, placing particular emphasis on recent technological developments that have allowed for unprecedented access to high-resolution satellite imagery. It also applies lessons from tiger habitat analysis to ape habitat monitoring and conservation. 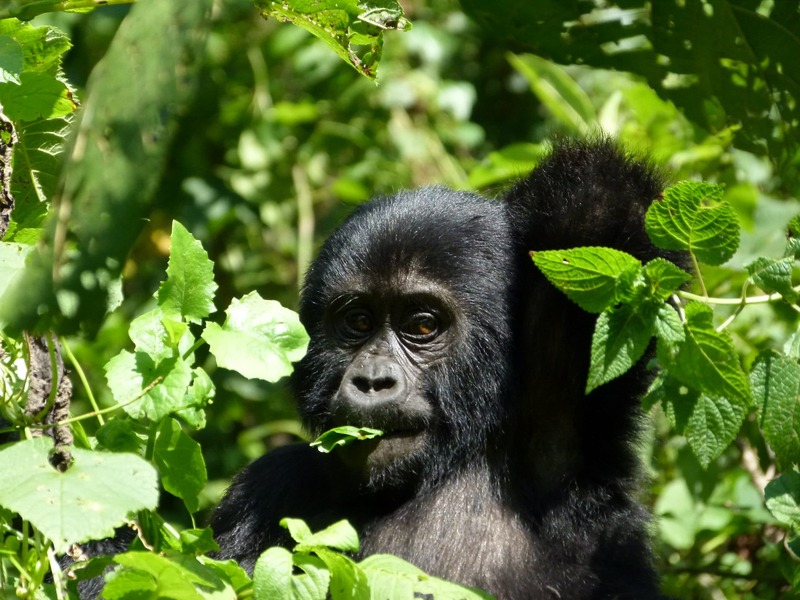 Equatorial Africa—the only home to five species and at least 12 subspecies of gorillas, chimpanzees and bonobos—is experiencing explosive increases in infrastructure, such as roads, often associated with extractive industries. This chapter assesses the potential impact of new and planned infrastructure projects on protected areas in tropical Africa, particularly those harboring critical ape habitats. This chapter explores the ways in which planning that is evidence-based, inclusive, and effectively implemented, monitored, and evaluated can help to minimize the negative impacts of road development on biodiversity. A review of the projected expansion of hydropower and the potential effects associated with the proliferation of dams and other renewable energy projects, including the impact on apes and their habitat. The introduction to Section 2 includes brief descriptions of Chapter 7, which focuses on in situ ape conservation in Africa and Asia, and Chapter 8, which reviews the status and welfare of apes in captivity around the world. The first-ever global assessment of forest loss for 38 ape species and subspecies in Africa and Asia covers 14 years across all ranges and is made possible by Global Forest Watch, a free online platform that provides data and tools for monitoring forests. Chapter 8 includes a section considering the history and context of range state sanctuaries, focusing on 56 such facilities. Another examines the outlook for sanctuary apes and explores the opportunities and challenges for these sanctuaries in view of current and emerging threats. State of the Apes: Extractive Industries and Ape Conservation includes annexes on power grid electrocution in primates, early detection of forest loss, the decommissioning of dams, data sets, and monitoring forest cover change, among other topics. In this 2018 online-only annex, ape abundance estimates are presented at site level. The endpages include the acronyms and abbreviations used in State of the Apes, as well as a glossary, index and reference list. State of the Apes: Infrastructure Development and Ape Conservation assesses the interface between infrastructure development and ape conservation. This policymakers’ briefing presents a policy-relevant discussion of the impacts of infrastructure on apes and their habitat and recommended ways to protect ape species.